With only two weeks now before the beginning of Lent, the Scriptures appointed for the next two Sundays point to the addressing of the Commandments given to Moses and reiterated throughout the five books of the Torah—the first five of the Bible. During the Sundays of Lent, many congregations recite the commandments as a part of the Sunday worship with a promise that with God’s help they will keep the Commandments. We know that they tell us what we shall not do, which translates into what we should not and will not do to fulfill the divne and human covenant. But have you ever thought about what they tell us to do? 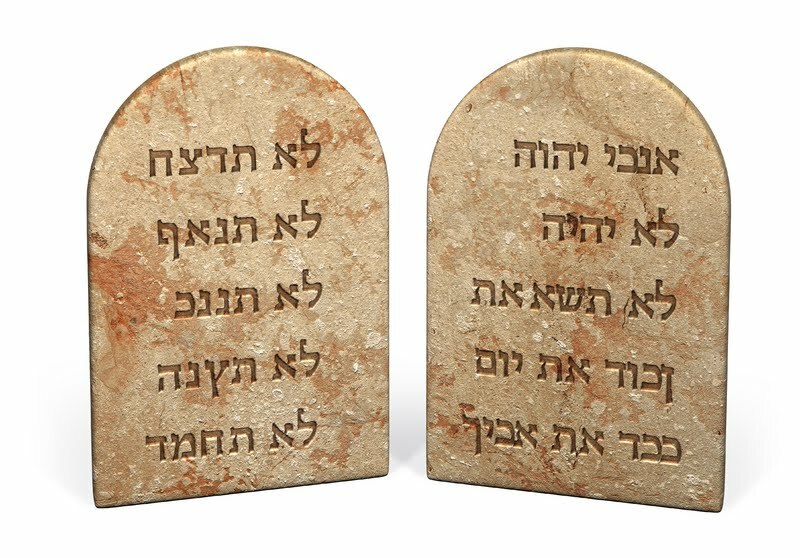 The commandments, as we read them are actually in two parts. The first part instructs the faithful to love God and the second part requires us to love our neighbors. Jesus restates this truth when he is asked which commandment is the greatest. Note that the active verb in both sides of the Ten Commandments is love. O Lord, you have taught us that without love whatever we do is worth nothing: Send your Holy Spirit and pour into our hearts your greatest gift, which is love, the true bond of peace and of all virtue, without which whoever lives is accounted dead before you. Therefore, in our prayers, Christians want God to know that we have heard the Commandment to love God first and then love neighbor as we love ourselves. Further, we acknowledge our inabilities to keep the Commandments to love. We also acknowledge that without love all is worthless. This is a strong and startling statement to include in a prayer. I have thought about the love Jesus speaks of often. For example, one afternoon in 1964, sitting in a coffee shop in Anchorage, Alaska, I was thinking about something that had been said at a conference on Cold War strategies. I was required to attend the conference by my Army superiors. The thought rose out of the steam of the coffee cup was about the evil of humanity; an evil so vast it contemplates the mass destruction of the world. In my simple brain I concluded it all could be summed up in the word “selfishness.” Of course, that is too simple of a thought. What is selfish to one may be generous to another. However, the word did capture for me the idea that selfishness is both a lack of love for God and certainly a lack of love for another. Further, it is a lack of love for the earth—the planet on which we live. Later in my Army life, as I was contemplating the call to ordained ministry, I bought a series of books on great theologians. The volume I found most interesting and enlightening and gave some depth to my simplistic thoughts in Alaska was one on the life and work of Teilhard de Chardin, a Jesuit priest, theologian, and scientist. As the Jesuits often can be, he was a controversial and outspoken thinker about the nature of human life and the universe; so controversial, in fact, the Vatican banned his work from publication all of his productive life. Because he was a man of faith and of science, he believed the created order of Genesis was supported by Darwin’s evolutionary theory. In fact, he believed that humanity, if not the entire universe, was and is still in the process of evolving. However, the evolution of humanity is no longer physical but spiritual. There appeared to me to be a theological dichotomy between Teilhard’s philosophy and the words of the Apostle Paul in his First Letter to the Corinthians. The Apostle Paul warns against being beguiled by the “wisdom of the age,” and by human leaders. Teilhard de Chardin very likely agreed with Paul’s second warning—especially the leadership emanating from Rome. Still, he believed he had a Christian duty to reconcile the emerging new information about the universe and its creation with his faith. His reconciliation led him to theorize that the universe is evolving. In this theory of evolution Teilhard believed he stayed true to both faith and science. Nonetheless, in Teilhard’s observation evolution has stalled. The cause of the delay in the spiritual evolution of humanity is the lack of love as described in the Commandments given to Moses on the Sinai Mountain. 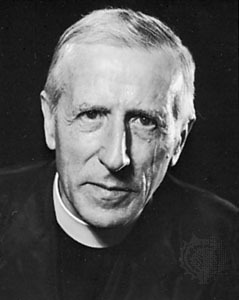 This is my connecting point and the reason I am citing the Jesuit Priest Teilhard de Chardin. Teilhard points to the societal problems of isolation and marginalization as huge inhibitors of evolution, especially since evolution requires a unification of consciousness. He stated that “no evolutionary future awaits anyone except in association with everyone else.” Teilhard argued that the human condition necessarily leads to the voluntary psychic unity of humankind. He also acknowledged that evolution is an ascent toward consciousness and therefore, signifies a continuous upsurge toward what he called the Omega Point, which for all intents and purposes, is God. It is not necessary to be more religious, but more humble, more a part of nature, responsible for her sustainability, and more careful in all human activity. Humanity must return to the Earth, from which it has exiled itself, and become her guardian. Then the natural contract will be remade. And by also opening up to the Creator, humanity’s infinite thirst would be satiated, and the reward would be peace. This means the only way to change the world is to turn away from the human-made rules of an “eye-for-an-eye,” and dehumanizing enemies to divine justice of love as described by Jesus. In that divine justice is an understanding that we are evolving creatures—evolving toward God. This leads, in my mind, to the affirmation of the words of the ancient prayer preserved in The Book of Common Prayer that without love everything we do is ultimately worthless. For example, the selection for the Seventh Sunday after Epiphany in the Revised Common Lectionary is Leviticus 19:1-2,9-18, which clearly is a restatement of what is commonly thought of as the Ten commandments. The Book of Common Prayer, 1979 (164 and 216). I am reblogging this post on Teilhard de Chardin. I disagree with some of the preliminary comments but I agree with the central premise on Teilhard de Chardin’s belief of the necessity of unconditional love as a key turning point in human evolution. Thanks for your comment. 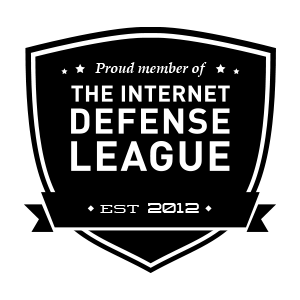 I am certain many will not agree with the initial parts of this blog, but I think you and I agree that Tielhard’s philosophical theory of spiritual evolution is worth putting out into cyber space. I often read your comments and blogs through Face Book. [? ]Thanks for these and the many other thoughts that you share with us, Bill. Later, I guess things got too hot and he moved out of Kansas City to the Parkville area and bought land there, calling it “Green Hills.” He built a clubhouse on the land which was called The Green Hills Club, and continued his gambling business there. Across the big driveway they had a house and barns, and kept cows and chickens there–at least that was the situation when I was young and the “club” was either out of business or close to being so. (We had some curtains in our house that had come from “the club,” but that was in the late 40’s.) I remember that when my great-grandfather died, his body was for some reason laid out in the clubhouse and that was where people came to pay their respects. That was the first time I ever saw a dead person! All that is ancient history, but I and my 3 boy cousins who were close to me in age (one a year older and two born 2 months after me) had great times at the Green HIlls. My brother Bobby was 4 years younger, but he played there as well. My grandmother was an Irish lass and my grandfather often called her “O’Shea!” We called them Nanny and Granddaddy. Extremely interesting. I chose the name Green Hills Philosopher because Chillicothe is in the Green Hills of Missouri–a geographical region that includes much of NW Missouri. I am pleased you find some of my stuff worth reading. Nice blog post, thank you. I am certainly not a Teilhard expert, though I have all his works and read him daily, but I do not remember him writing about spiritual evolution as having stalled, and would appreciate a specific cite for that in The Phenomena of Man. Also, there is a new translation called The Human Phenomena which I am just beginning to read. I think that Teilhard would see the current electronic world of communication as a form of intimacy, in some ways, greater than when we were limited to face to face, letters and phones, because so much of the communication now is instant and idea based, with less of the personality clouding the communication. Thanks for your comment. Also thanks for the connection. I will recheck my source on the Tielhard thought that spiritual and evolution in general has stalled because of the inability of humanity to consciously unite with itself and nature. The only instance I remember Teilhard noting evolution has stopped was regarding human physical evolution; and, in my memory of reading him, spiritual evolution cannot be stopped…Christ draws all to him until fullness. I take it that it is the human lack of conscientious unity that has stalled – not stopped – spiritual evolution. I agree that Christ draws all to him but it is only through the Holy Spirit of God that this evolutionary process continues. Thanks for your comments.